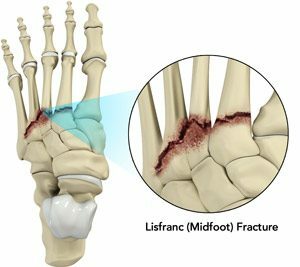 Tarsometatarsal arthritis is characterized by pain, functional impairment and midfoot instability. The appearance of bruises and swelling on the dorsal side of the midfoot are the commonly observed symptoms. The doctor will first examine the physical condition of the foot by inspection and palpation (feeling with hands). You may be advised to get an X-ray taken. You might also be sent to get a CT or MRI scan done to provide more information about your condition.